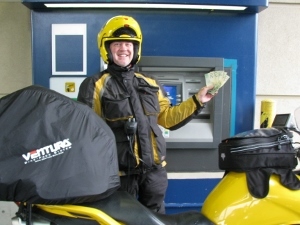 A trip to British Columbia from the United States is truly a different riding experience. Population densities are considerably lesser, there are vast expanses of varying terrain and far more wildlife to see along the way than we have here. In 2000, two riders from B.C. compiled a book of 185 good motorcycling roads through Canada. Each road was rated. In 2010, fellow rider Bob Tomlinson and I set out to go ride the ten best. The riding was good (when it wasn't raining), the people and the places along the way were wonderful and we had some of the best meals of our lives on that trip. The typical protocol when we develop a Road Trip tour is to schedule a tour date and invite riders to sign up and join in on the tour. But because of the rain issues back in 2010, I felt it might be better to make the route, guidebook and GPS files available, and let riders book and tour at their leisure. Of course mid-summer can be the best time to ride through B.C., but a look at the weather in advance plays a big role in getting it just right. Photo: We recommend cashing up the day beforehand so you can make a smooth break on day one from wherever you stay in the Abbotsford area. This Road Trip tour delivers all ten of those recommended roads as well as additional roads to discover along the route. Did you know you can ride from Abbotsford to Hope without using Canada 1? You can, and our route is a lot more fun than slogging through the morning commute on the first morning of the tour. Getting rooms in Canada at the drop of a hat never seemed to be a problem during our summertime jaunt. And all the times I have toured Canada I've never been shut out of anywhere by making last minute arrangements. So you could plan well in advance, or just wing it, and probably have about the same experience, sans the weekend of Canada Day which falls on July 1st. The tour book provides recommended hotels, motels and even camping along the way. 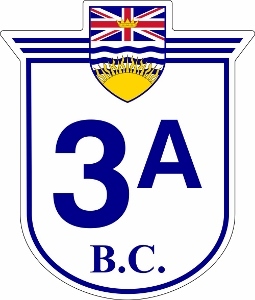 Photo: 3A - is it BC's best? You'll just have to ride it and find out! Another reason to wing it is that although this tour is essentially a 5-day adventure, there may be days you want to stay in the same place, extending your tour time to a few more days. Places like Kelowna, Whistler and Vancouver Island deserve an extra day of sightseeing if you can spare the time. Use the guide book and you'll be eating well as we provide three to six recommendations at every stop along the route. We've enjoyed top grade dining in Penticton, Creston, Kelowna and of course Whistler. But we also found nice little sandwich shops, a wood fired pizzeria and an Irish-themed pub in smaller places like Princeton, New Denver and up on a bluff overlooking Lyons Bay. They're all included in the guide book. We've put in a lot of effort putting together our restaurant suggestions going beyond the social media suggestions, instead turning to more reliable directories like Zagat, AAA and, of course, our own experiences. If you're a lover of wine, Canada's Okanagan Valley is world class. Canada does a good job consuming its own wines, so it's rare to find any in the States (plus they get taxed to the hilt coming onto American soil, so why bother from the wineries perspective). And although some of the wines are produced in large enough quantities to make their way out of the area to cities like Whistler and Vancouver, some of the best can only be found while dining or visiting wineries in the valley. Your evenings in Penticton and later in Kelowna will provide a chance to experience these flavorful delights. Most of the suggested accommodations are within walking distance of restaurants that sport these rarities, so there's no need to mix wining with riding. Photo: Funky roadside art appears all along the tour. 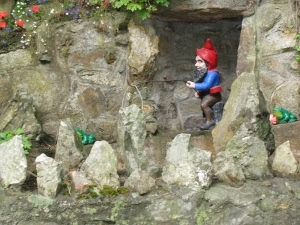 This is located near a glass house on Day 3. There are three ferry crossings along the route. 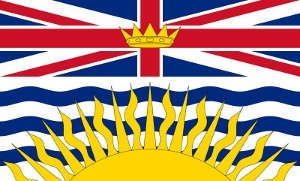 And unless you live on Vancouver Island, a fourth one will be necessary to get back to the mainland. The ferry in the morning on Day 5 from Horseshoe Bay out to Nanaimo is stunning in comparison to Washington State ferries - larger and much nicer inside. We recommend the ferry to Tsawwassen to get back on the mainland and this is covered in the guide. Doing so eliminates going through US Customs at the ferry, which can really get on your nerves. At no time on the tour will you pass through Vancouver, unless you change plans. Much like San Francisco, Vancouver lacks an actual freeway through the heart of the city so it can get a little tiresome as you duck walk your way through. That's not what we call vacation. Photo: Delicious food abounds during the tour. 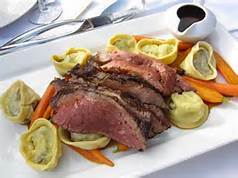 This delightful roast beef is from Araxi on Day 4 of the route. As for fuel availability, the solution is simple on this tour. If you gas up each night or morning and at lunchtime, you don't need to expect any trouble if your bike has a range of 150 miles or more. This is how we design all our tour routes. Typically our tours run $150 per person, but running this self-led at your leisure you only pay $50 for the tour book and GPS routes. Click here to order your tour book and GPS route now. They will be ready to ship April 25th.